Jungle Boogie Friday Night Concert Series at the Saint Louis Zoo. Enjoy a FREE concert every Friday night, May 24th through August 30th (NO Concert on June 21st). Concerts take place in the Schnuck Family Plaza in the center of the Zoo. Bring a lawn chair to ensure you have a seat. See website for more information. 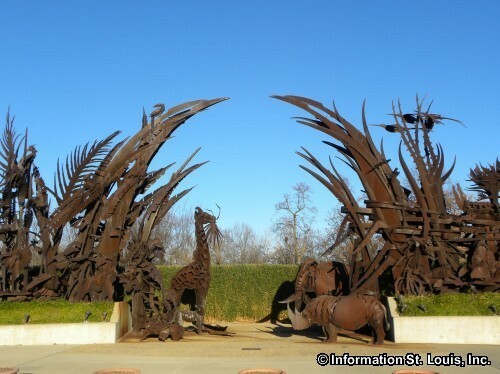 The Saint Louis Zoo is one of the best zoos in the nation and admission is FREE* to all visitors! It is located in beautiful Forest Park. Special events are held at the Saint Louis Zoo throughout the year such as Boo At The Zoo Nights in October and the Jungle Boogie Free Concert series during the summer. HINT: The first hour that the Zoo is open, visitors are admitted FREE to the Conservation Carousel, the Children's Zoo and when in season, the Stingrays at Caribbean Cove! *A fee is charged to visit some exhibits and to attend some special events at the Zoo. Please check the website listed on each event to get the most up-to-date information. Directions: Main entrance is on Wells Drive, just off of Hampton Avenue, north of Interstate 64/40. The second main entrance is the north entrance at the Living World off of Government Drive.